Networks of signaling cascades message the activation of synaptic neurotransmitter receptors by regulating synaptic transmission and morphological changes in synapses. To warrant signaling specificity, these networks are coordinated by signaling scaffolds, which tether receptors with the signaling cascades and target proteins. Many of the scaffold components in the postsynaptic protein network are associated with brain disorders. The disc-large (DLG) protein family of membrane-associated guanylate kinases (MAGUKs) includes the signaling scaffolds PSD-93, PSD-95, SAP97 and -102, which are among the most abundant proteins in the postsynaptic density of excitatory synapses. They are critically involved in the physiological function of synapses and are associated with pathological signaling events in stroke (PSD-95), schizophrenia (PSD-93) and mental retardation (SAP102). Furthermore, they are centered between numerous risk gene products of psychiatric disorders, including neuroligins, neurexins, Shanks in autism spectrum disorders or NMDA receptors or other receptors in schizophrenia and other mental disorders. It is puzzling how the same protein networks contribute to etiologically different disorders. Different affected brain regions and/or synaptic connections between excitatory and inhibitory neurons might dictate these differences. 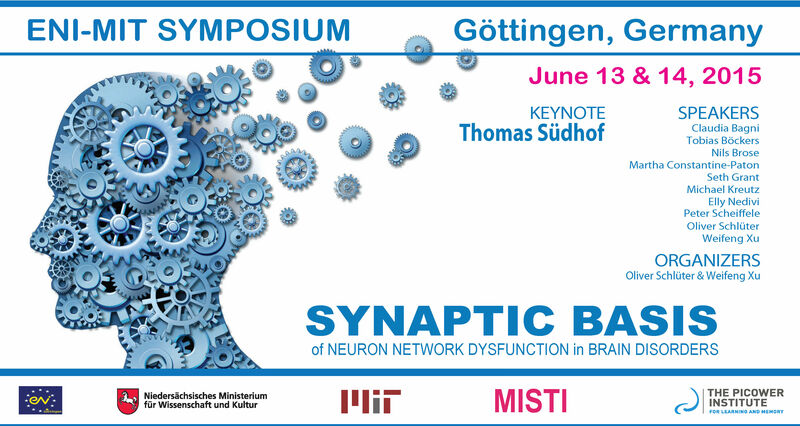 In this symposium, we intend to discuss new results in the identification of the function of the synaptic protein signaling networks and their function in specific neuronal pathways to help to identify overlapping pathomechanisms and specific pathognomonic signatures in different disorders. © 2019 Xu Laboratory. Website Design by Tahiri Media.